Pamper a special someone with our new Black Friday Special Editions each packed with 5~7 full sized makeup and skincare miracles all for ONLY $19!! I ordered the Black Friday boxes 1, 2 and 3 and the descriptions for all of them were the same and quite vague so I wasn’t sure what we would get. They shipped them all separately so I finally got my last box which is #2. Let’s see what came in this box! 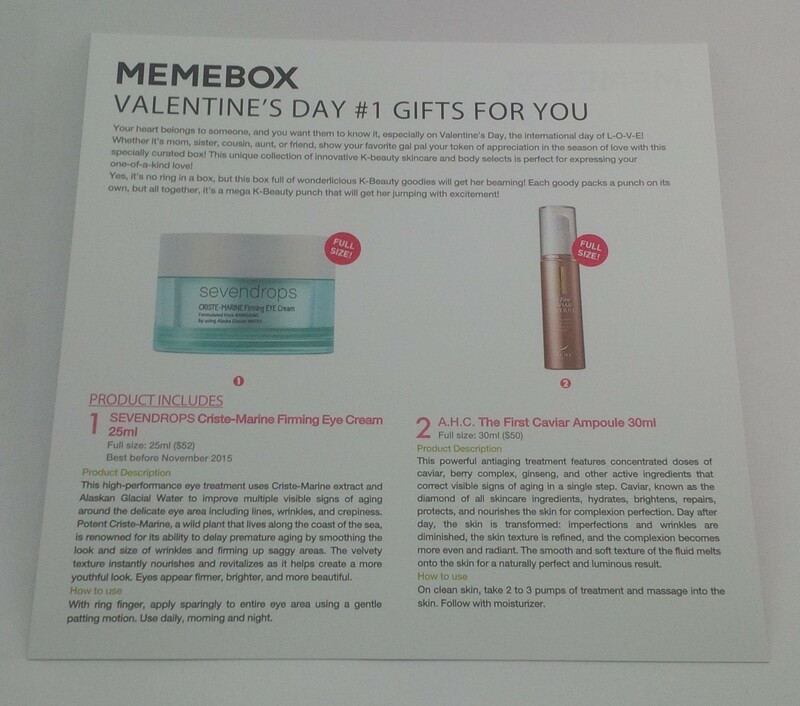 Lately Memebox has been sending out boxes without cards and have been sending out emails with online information cards instead. This was one of those boxes so you will have to trust that I’m not making up the descriptions for each product. No more blemish-instigating, oily sunscreens! Specially formulated from a strong antioxidant – premium red wine ‘Pinot Noir’ – this mild, moisturizing sunblock not only provides moderate UVA and UVB protection but also replenishes and brightens up uneven skin tone and texture, for a glowing, supple complexion. How to Use: Apply evenly over face as a makeup base to prep skin before applying foundation or BB cream. I absolutely love the packaging for this sunscreen. I think it is beautiful and sleek, and the colour is one of my favourites! This sunscreen was sent out in the Wine & Cheese box I believe. I am happy to have this and I will use it after I finish the sunscreens I already have. 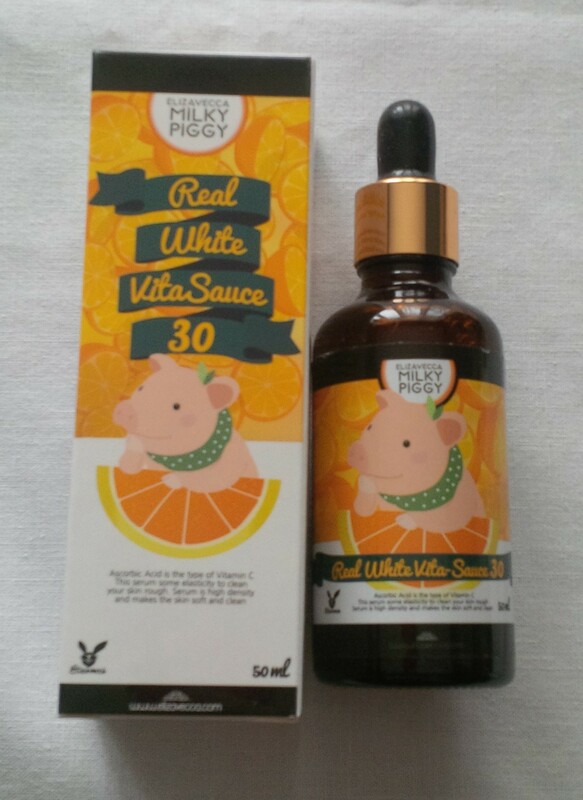 With pure vitamin C consisting over 30% of the facial ampoule, this is a highly concentrated vitamin ampoule which provides instant moisture, whitening care, wrinkle-care, and skin protection all in one! How to Use: Apply 2-3 drops of the ampoule and pat it in for full absorbance. Make sure to shake the bottle well before application so that the vitamin capsules in the ampoule can be evenly applied over your skin. I am a little confused about why this is in this box when it was in the Black Friday #1 box as well. Why they put duplicate products in boxes of the same collection I have no idea. However, that being said, I am using the first one that I got and do not have any other ampoules waiting to be used so I will use this one next. At least its not a duplicate of a product that I don’t like. A facial cream for soothing and nourishing stimulated skin, the Aesthetic Reparative-K Cream is packed with high concentrates of centella asiatica extracts, jojoba oil, sunflower seed oil, and gold extracts. Its soothing formula works to hydrate and calm reddened, sensitive skin by creating a protective layer on top and also by instigating skin regeneration. Once again, this cream was in the Black Friday #1 box with the Elizavecca product. 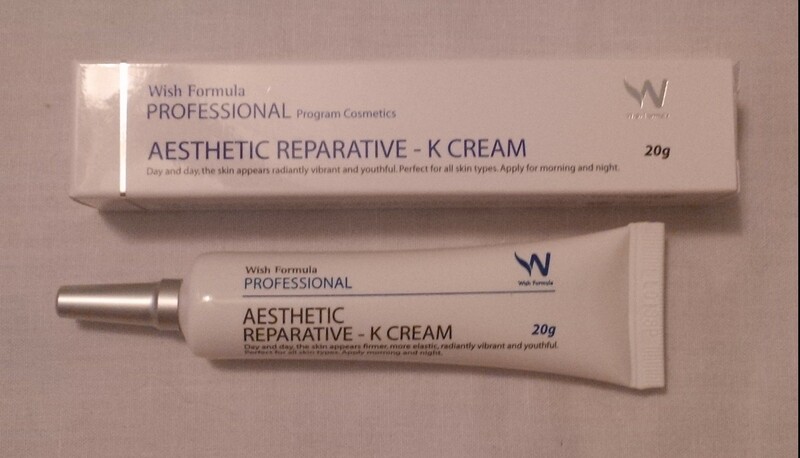 I haven’t used my first one yet because I have so many creams waiting to go. I’m not sure yet if I will keep this or pass it along yet. I kind of wish I hadn’t received a duplicate of this product but maybe once I start using it, I will really love it. A micro-emulsion type essential mask enriched with red wine complex. It’s fast-absorbing, effectively softens uneven skin texture, and maintains a healthy moisture/oil balance. 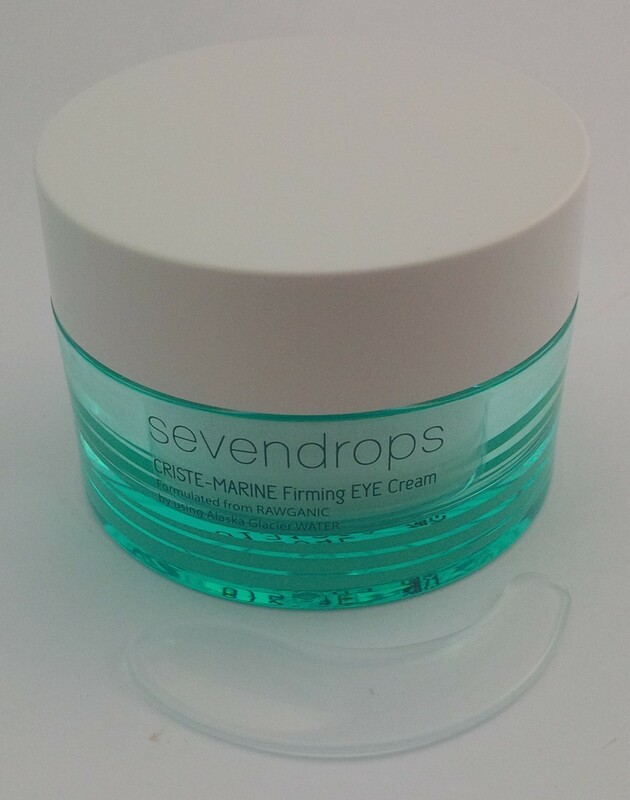 Plus, it’s free of paraben, talc, benzophenon, tri-ethanolamide, and tar colouring. How to Use: Spread the mask sheet evenly over clean face. Rest for 15-20 minutes. Remove and pat in the remaining essence for full absorbance. I am really excited to get these! 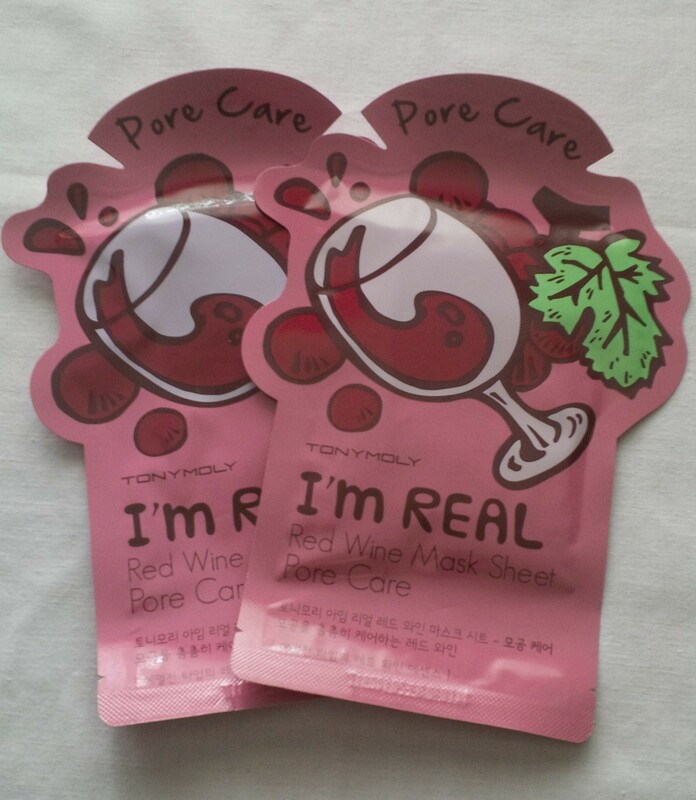 I have been wanting to try the Tonymoly masks for awhile but haven’t found them online anywhere that I didn’t have to pay a small fortune for shipping. I absolutely love sheet masks and love getting them in my boxes so this is one of the better products of this box for me! 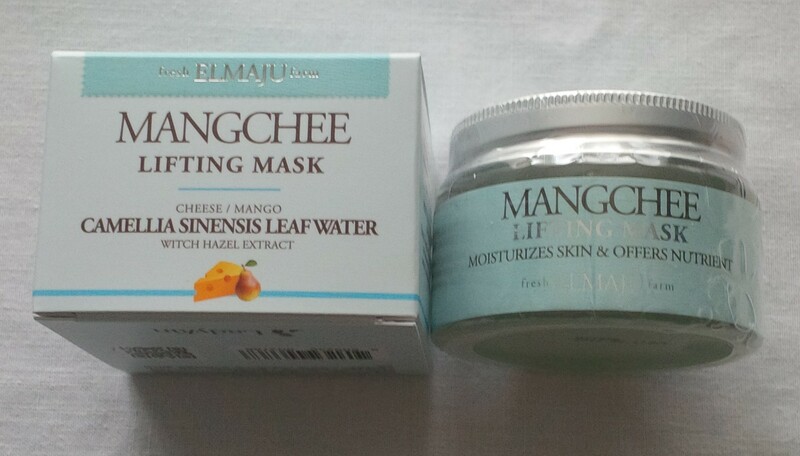 This Mangchee Lifting Cream moisturizes, restores, replenishes, and calms the skin. 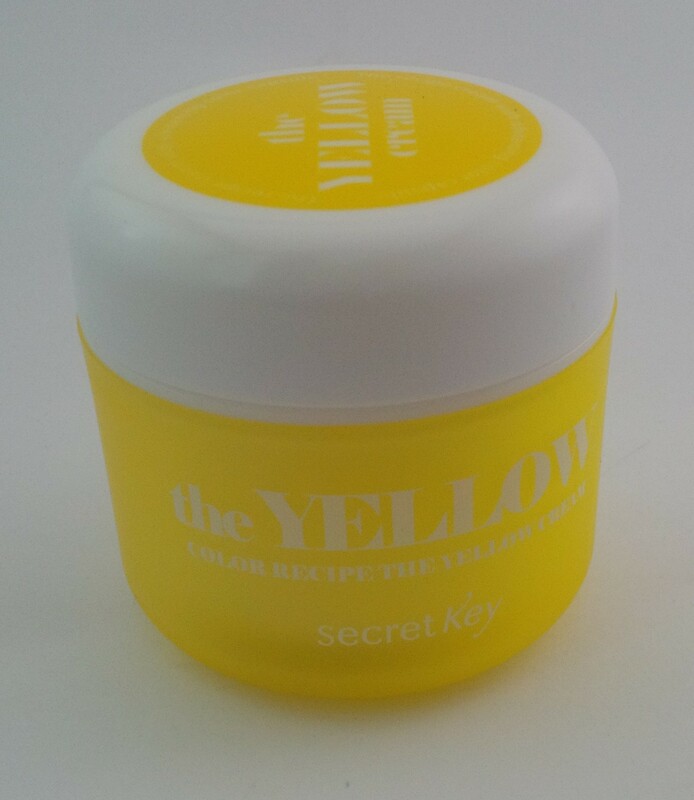 Mango, cheese, and shea butter extracts boosts and locks in moisture for a dewy and youthful result. It leaves skin with an instant silky, soft, and supple feel and energizes the skin, giving you a healthy-looking, glowing complexion. How to Use: Apply the Lifting Mask all over the face. Use before bed. Do not rinse. This is another product that I am excited to have! I haven’t gotten any sleeping pack type masks yet from my Memeboxes even though they seem so popular! 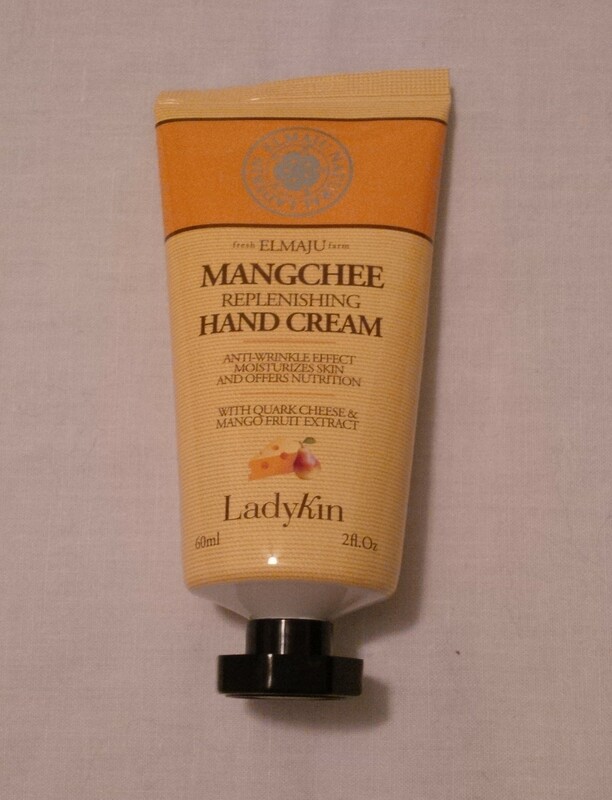 I just received a Mangchee hand cream in another Black Friday box and it seems quite nice so I am excited to try this. I am curious to see how I will feel having the sleeping pack on my face, and hopefully it won’t be uncomfortable if it absorbs slowly. Overally, I am still quite happy with this box despite the duplicates. I am happy to have the Elizavecca duplicate, and am alright with the Cotterang duplicate. I am very happy to have everything else that came in the box so I think it is a success! With coupon codes and Meme points, I ended up paying $15 for this box including shipping. This means I only paid about $8 for the box itself. 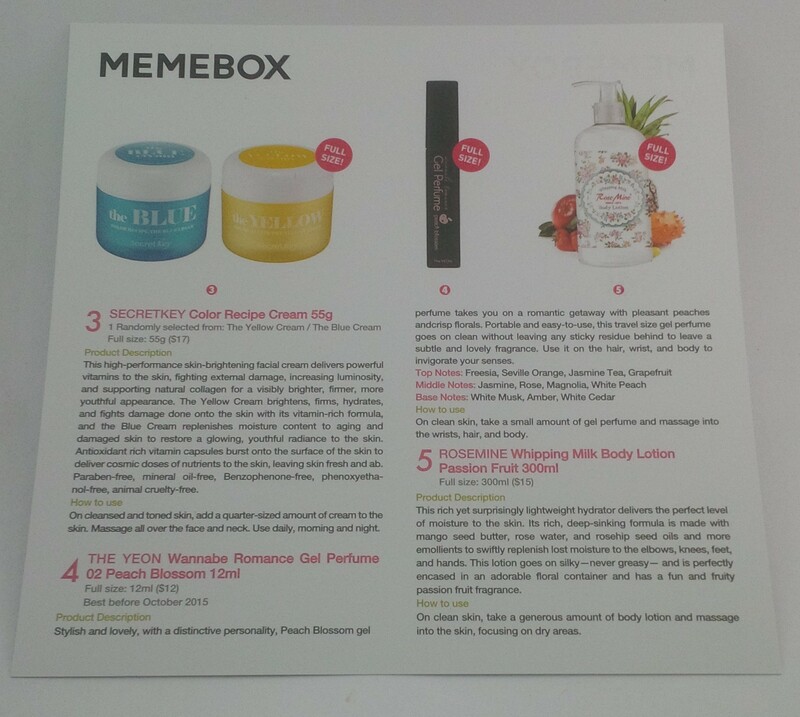 The total retail value (according to Memebox) is a whopping $172 which is crazy! Also, at this point, other than the Innisfree Peeling Gel, I have everything that came in the Wine & Cheese box so they must have had a lot of people cancel their orders of that one. I ordered the Black Friday boxes 1, 2 and 3 and the descriptions for all of them were the same and quite vague so I wasn’t sure what we would get. Let’s see what came in this box! 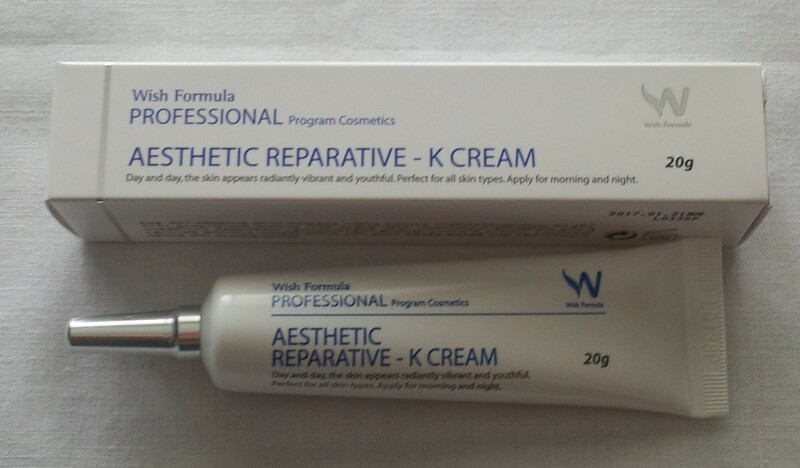 The anti-wrinkle functional hand cream containing cheese extracts, bacillus/corchorus olitorius leaf ferment filtrate which Cleopatra used for her skin care and denosine which is the anti-wrinkle functional ingredient absorbs deep into skin and helps to strengthen the skin’s innate power to protect itself, making the skin more vital and healthier. Mango extracts also makes skin clearer and more transparent and camellia sinensis leaf water rich in vitamin and polyphenol keeps easily dehydrated hands well-nourished, elastic and smooth. Wow, what a long winded and technical description for hand cream. All I know is that this hand cream smells alright and I will use it. I do have other hand creams on the go at the moment but this won’t be neglected for sure! I am wondering if we will end up getting a hand cream in all of the Black Friday boxes. 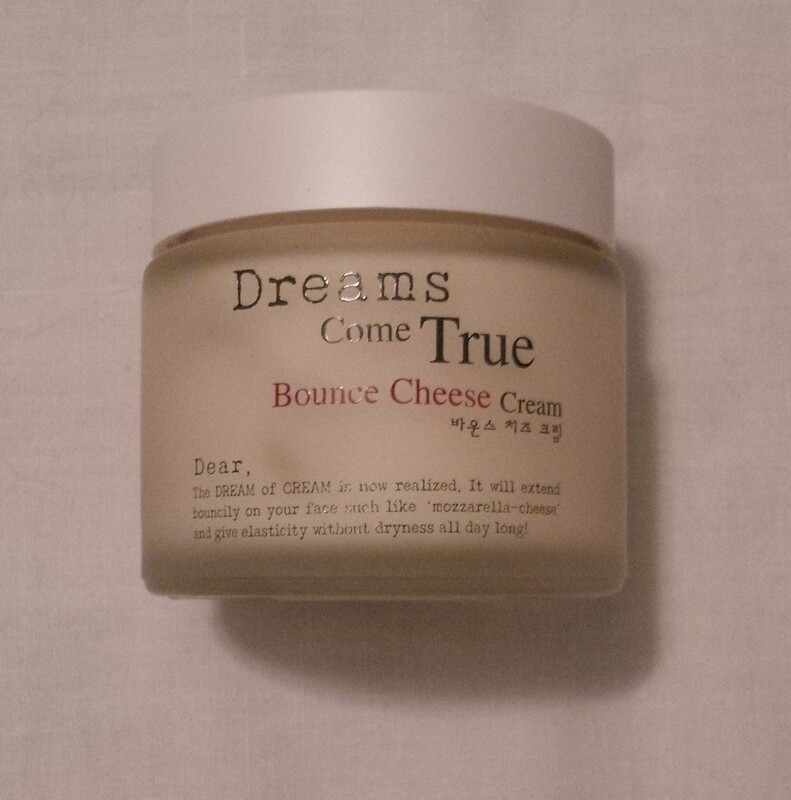 Bouncify your skin with a FULL SIZED Memebox cult classic Dear by Enprani’s Dreams Come True Bounce Cheese Cream! This innovative facial cream has a unique ooey-gooey, bouncy texture that comes from a high concentration of protein-rich whey. The fun melted mozzarella cheese texture will adhere to the skin perfectly, and hydrate and firm the skin for the plumpest, youngest cheeks ever. How to Use: Prep the skin with toner and serum. Apply the cream to skin daily, morning and night. When I first started getting into Memebox, I would see all kinds of people receiving this cream and marvelling at the texture of it. I’m not sure if it came in this box because Memebox is trying to clear out their warehouse but I am happy to have it. The texture is quite stringy which is strange but once it is on your skin, it thins out and absorbs fairly quickly. I do have other moisturizers on the go but this will join the line for upcoming creams! 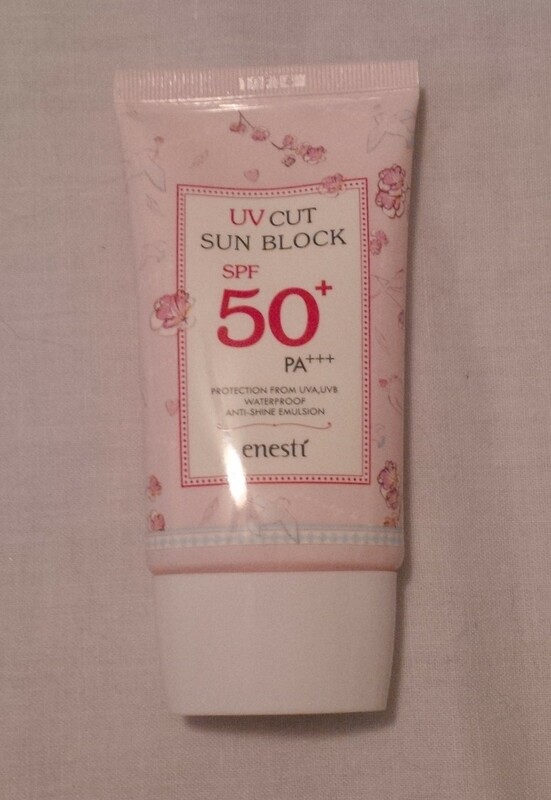 Enesti’s new UV Cut Sun Block is not only waterproof with a strong UV protection level but is also highly effective in toning out excess sebum and enlarged pores. Its gentle formula based on green tea and rosemary extracts works as a strong protective agent against the sun and other external toxins. How to Use: Apply the sun block evenly over your face and pat in for absorbance at the first stage of makeup application. Up until receiving this in the box, I did not use sun block as part of my daily routine. I know, I know, let the skincare shaming begin. I do realize that it is an important step and am hoping that having it will encourage me to incorporate it into my routine. I did put it on this morning (even though I didn’t leave the house today) and didn’t mind it. I found it applied a little thick so I may need to use a little bit less. I’m not upset about having this, that’s for sure! 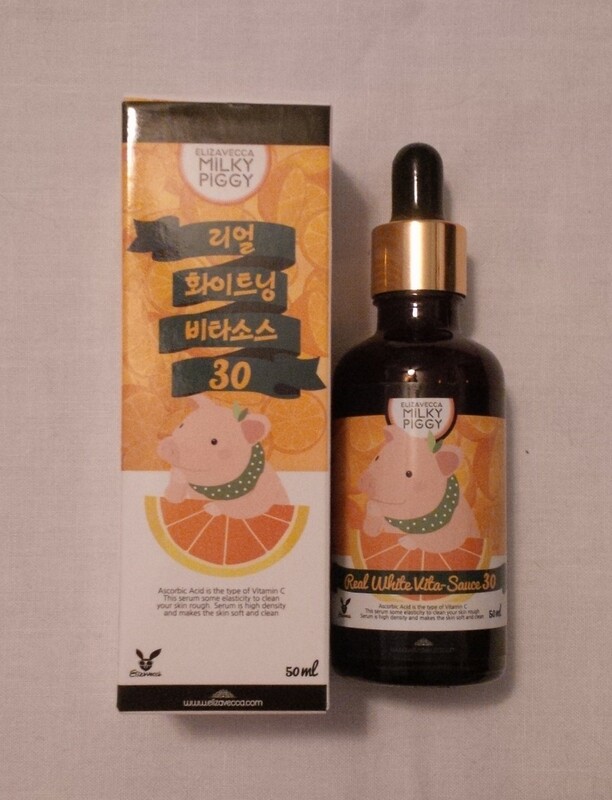 With pure vitamin C taking up more than 30% of its formula, this is a highly concentrated vitamin ampoule which provides instant moisture surge, whitening care, wrinkle care, and skin protection all in one. How to Use: Apply 2-3 drops of the ampoule to cleansed face. Pat it in for full absorbance. Make sure to shake the bottle well before application so that the vitamin capsules are evenly mixed. This company is one that I have heard a lot about in the Meme world and people really seem to enjoy the brand! 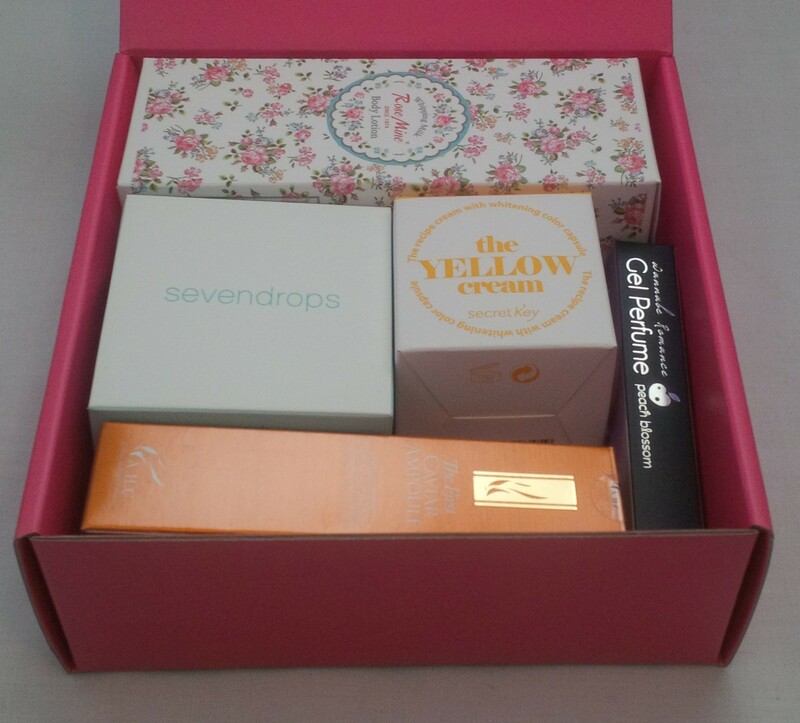 I didn’t have any ampoules before getting this box so I am happy to be able to try one. Since you only need 2-3 drops each time you use it, I feel like this 50ml bottle is going to last forever! 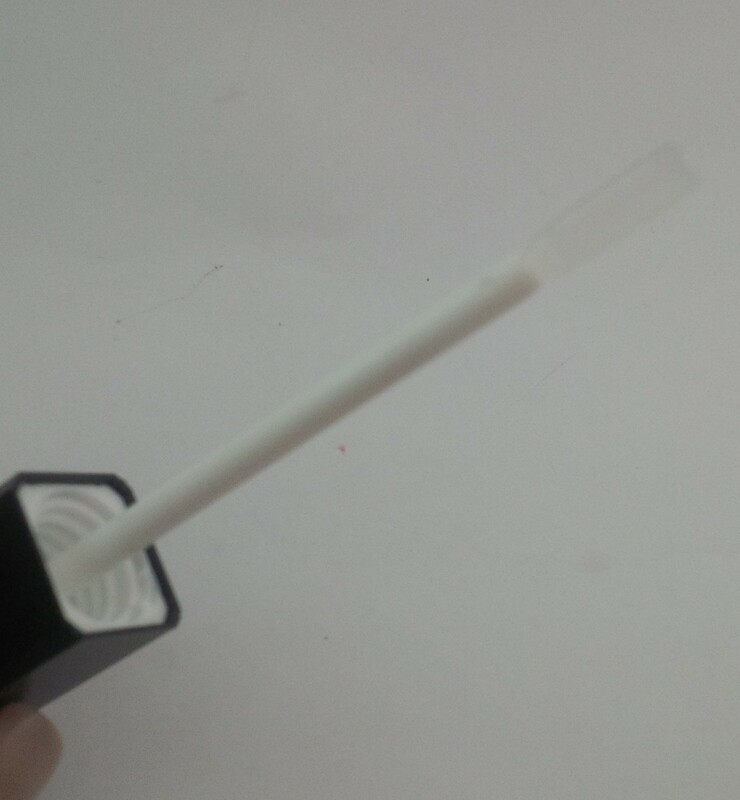 One complaint that I do have is that when it arrived to me, the glass pipette portion had separated from the lid so I had to reach in to the bottle to get it and reattach it. I am hoping this is only a one time thing and that it does not separate all the time. How to Use: Apply the cream generously over stimulated skin. I’m not really sure what I think of this product to be honest. Maybe this sounds dumb but what exactly is stimulated skin? Do you rub it first, get all of your skin mojo working and then apply the cream? Or does it mean skin that is irritated? If you know the answer to this than please let me know in the comments because I really am curious. Hopefully I can do some research on this and find out if it is for more or not. Some people may not be happy with this box because there are definite product repeats from other boxes. 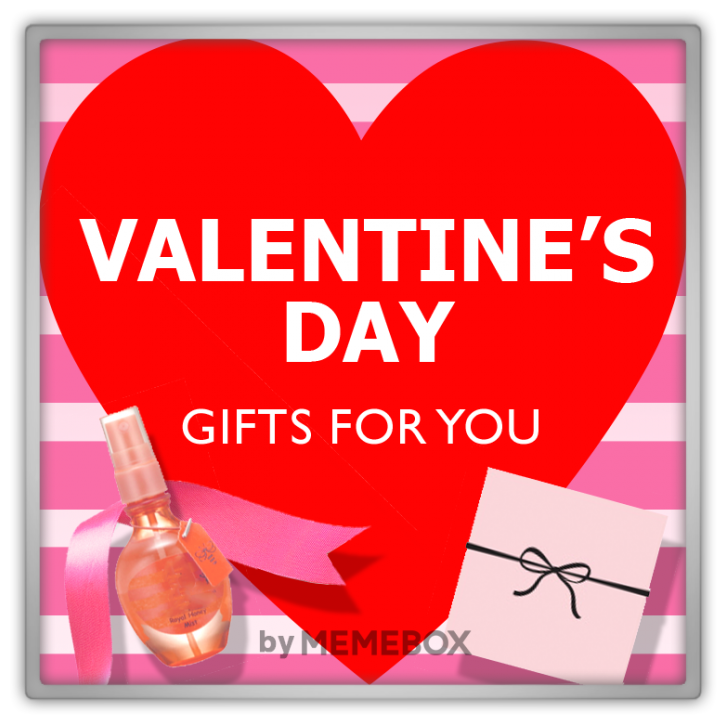 However, since I am still relatively new to Memebox, I do not have too many products and I have yet to get any products that I already have. 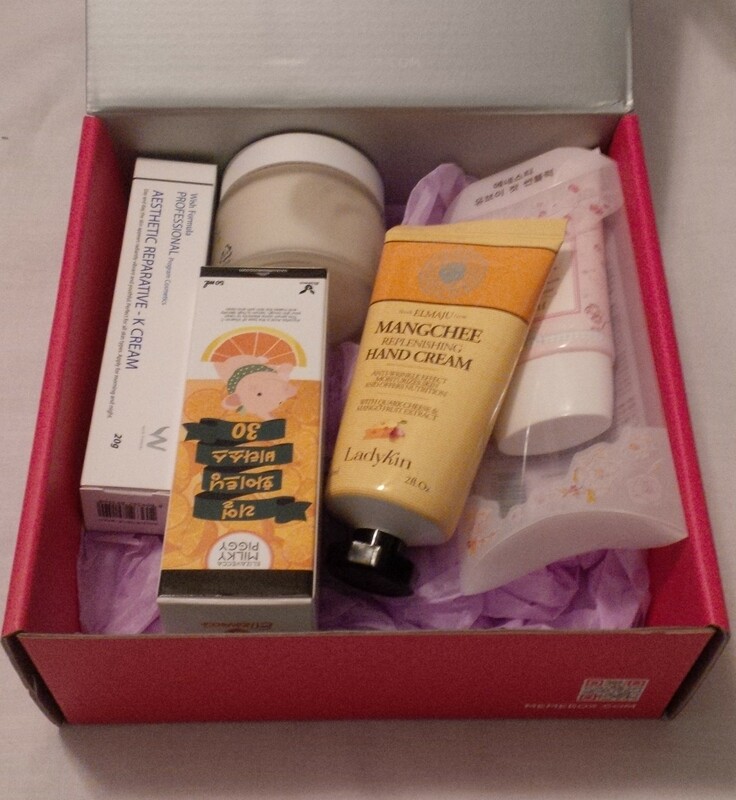 This is definitely a box that is more focused on skincare and I am okay with that! I am definitely happy with this box. Since I had a lot of points and a coupon code to use when these boxes came out, I only paid about $15 for this box including the shipping. That means this box itself was only about $8 for me! The total retail value for this box is $155 and even though Memebox seems to inflate their retail prices a bit, this is amazing! I can’t wait to see what I get in the other Black Friday boxes that I have coming!